Dr. Chen was born and raised in Texas. She attended the University of Texas at Austin for undergrad and graduated with a B.S in Human bBiology in 2007. She went to Texas A&M Health Science Center for medical school and moved to the windy city to complete her Internal Medicine residency at the University of Illinois at Chicago. Here, she was awarded the Humanistic award at the end of her training. 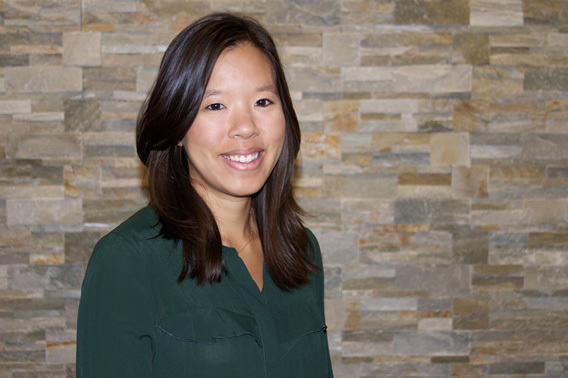 After realizing her great interest in Endocrinology, Dr. Chen chose to do her fellowship at the University of Colorado. Though Dr. Chen enjoys all parts of Endocrinology, she used her time in fellowship to research newer Diabetes medications and how to optimize Diabetes care. Other areas of interest include Reproductive Endocrinology, Thyroid disease and Pituitary disorders. She is excited to come back to the great state of Texas and call Austin home.